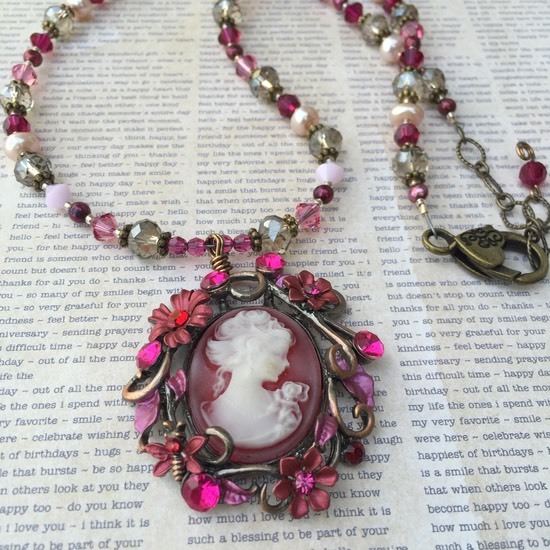 Absolutely stunning necklace with a vintage pink Cameo pendant. . This piece includes SWAROVSKI crystals in various colors, Freshwater pearls in light pink and deep burgundy, Chinese crystals in tan, and Brass components. Large Lobster clasp with a heart design. 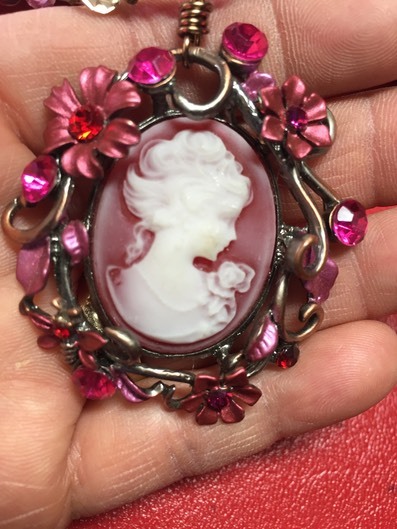 Cameo pendant measures 2" x 1-3/4". Necklace length is 21-1/2", adjustable up to 23-1/4”.